Don&rsquo;t go here if you are defending your partner or friend from an aggressive patron. I was escorted out and belittled by the cops that work for this bar. I am from NYC and never been kicked out a bar before. Be warned if your a black man. And my partner is white. Packed on the weekends, not that much country but you see some hats. Make sure you eat at the taco stand next door. 3x1 on Sunday happy hour. This club has been hopping since the 80"s and is still going strong. This club is active in community fundraising and has a great connection to the International Gay Rodeo scene. They have a great patio and dance floor. The drinks are cold and the staff is very friendly. If your visiting Denver Las Vegas or Chicago you'll find a Charlie's there too. I learned how to two step there and they have after-hours at many of there locations. Its one hot spot you must visit when in Phoenix. They have great parking too. It's the bar everyone told me to go to but I was underwhelmed really. But if you're looking for a lot of people definitely check it out. Me personally, there are other options... better options. 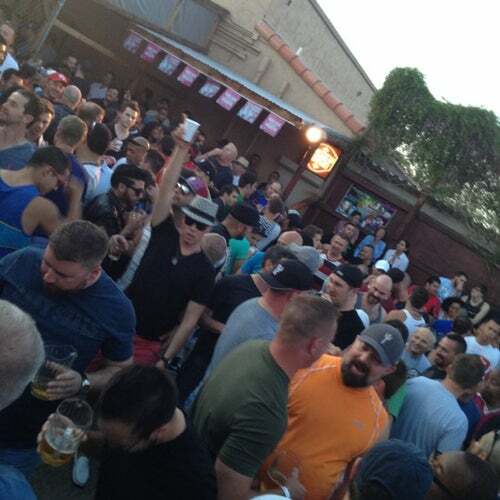 The largest and best bar in Phoenix! Indoor and outdoor fun! The Hotel 502 on Camelback right across the street to take your future ex! I had a blast and cannot wait to go back! This is a Dangerous Bar!!! Attention Spring and Summer travelers for 2016. Charlies is the most dangerous GLBT bar. Charlie’s is a GLBT bar in 4 western states. Charlie’s is notoriously a very dangerous bar. Charlie’s security will not keep you safe!!! Recently, Charlie’s has had police incidents including methamphetamine possession, illegal weapon possession, 4 assaults, thefts, and cars stolen. STAY SAFE AND STAY AWAY FROM THIS PLACE!!! Just in April & February, here are the crimes at Charlie’s as verified with Police: 5/7/16 Drug Poss. 1:59AM Incident #2016284212; 4/9/16 Auto Break-in 7:50PM Incident 20166003410. 4/15/16 Theft from Bldg 5:45PM Incident #2016234789 Police: 02/22/16 Meth Poss. 9:10PM Incident # 2016114342 02/22/16 Weapon Poss. 9:10PM Incident #2016114342 02/21/16 ASSAULT 12:15AM Incident #2016110129 02/13/16 LARCENY 11:50PM Incident #20166001530 02/11/16 Auto Theft 11:30PM Incident #201693176 02/03/16 Theft/Larceny 11:45PM Incident #20166001644 Charlie’s management ignores the fact that they are breaking all the rules for many business practices to protect their customers by erasing video, deleting social media reviews, and refusing to comment on questions on failing restaurant report card when nicely asked by FOX31Denver’s Heidi Hemmat. Their most popular shows are Sunday drag shows. 7 of the 8 last violent assaults have happened on Sundays in the last year. Charlie’s is a great bar to stay away from. When legitimate complaints are filed with the Police, Denver Health Department inspectors, and customers using social media business rating sites, Charlie’s management ignores the legitimate complaints and continues doing BAD BUSINESS AS USUAL. Visited this place as out-of-towners hoping for country music and dancing, the locals said to go on Wednesday as they said it was 'Country night', we were surprised by this because as a country bar we would've expected them to play country every night. Nevertheless, we went on Wednesday, arrived at around 9:45pm and a country song was playing and people were dancing, things looked good. After this one song some dance music came on and the floor cleared, we asked the DJ if they were going to play more country, explaining we were visitors and were hoping for some country music and they flat out refused so we left. This is not a country bar and we won't ever go back on future visits to Phoenix. Been here forever. Take any bad reviews with a grain of salt. Don't bring your large purse in. There's never a time or reason not to go. Eat from the taco stand out back. Beware of the cabs in the cab stand- they claim to be gay friendly but will still rip you off, and don't necessarily know their way around. I have not been back to Phoenix in a while but back then I remember being surrounded by the most sexiest hot cowboys swinging to great county music! Good music with a mix of country and Pop, gorgeous Male dancers and a large outdoor area to be with friends. !!!!!! NOT WHAT I EXPECTED FOR A COWBOYS BAR!!!! Had a good time there last night. All the people were very friendly. It's the mean average of the whole Phoenix area. A huge dive, under the auspices of being a country bar, but stereotypical at best. The locals come here for their nightly "hook up." Tons of people, and a roach coach in the back. Pretty gross, but hey- some people like that.